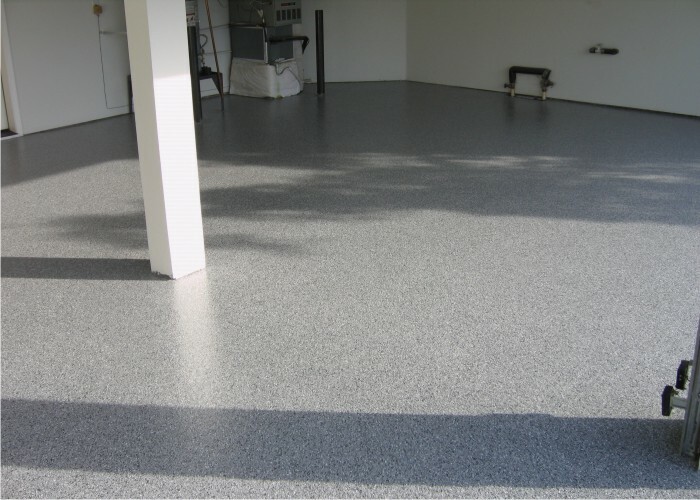 Decorative concrete coatings in the residential environment are one of the most popular home improvement projects these days. 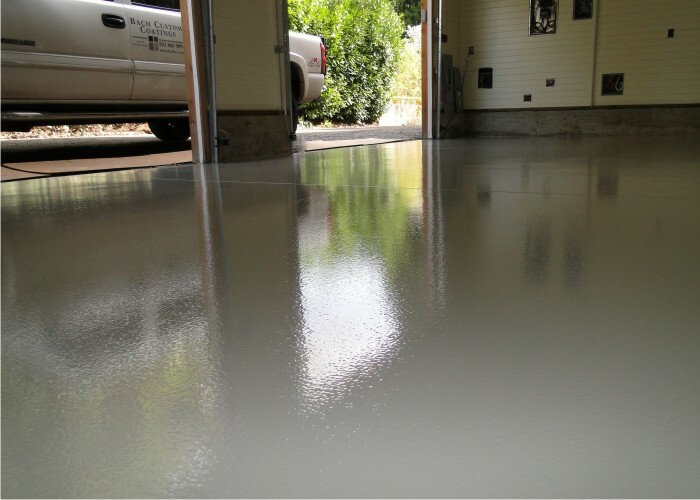 From garage floors to basements to exterior patios, beautifying these dull concrete slabs has never been more popular. 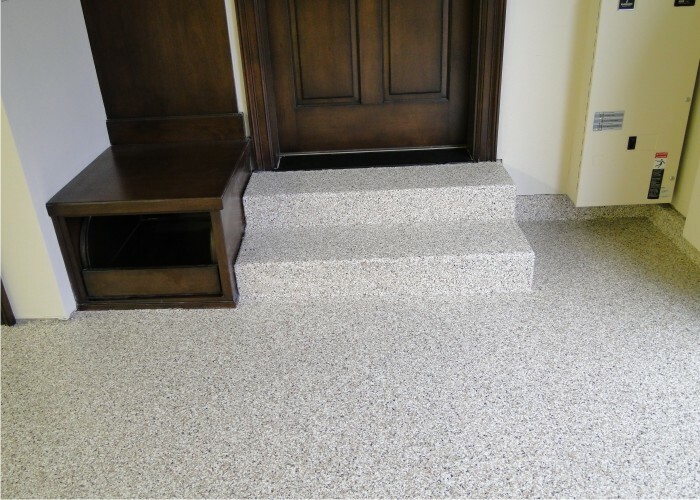 Instead of just having another area around your house that is blah and uneventful, we can easily transform them into extensions of your home, creating spaces that are warm and inviting. 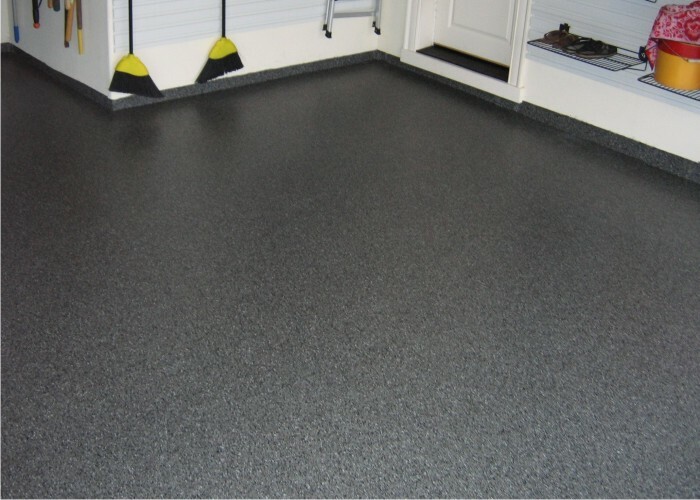 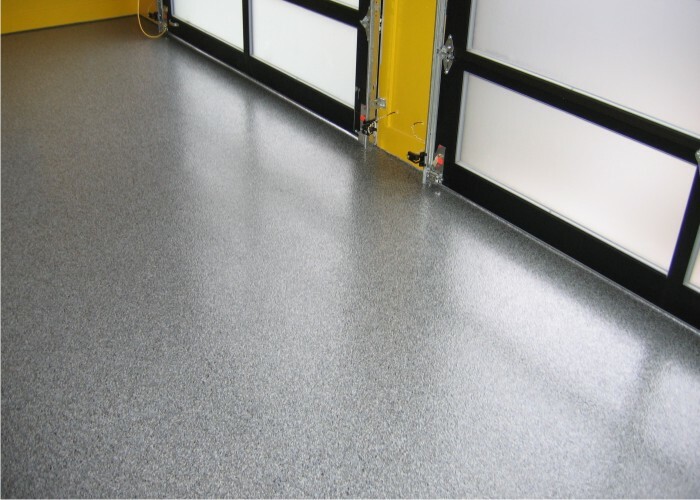 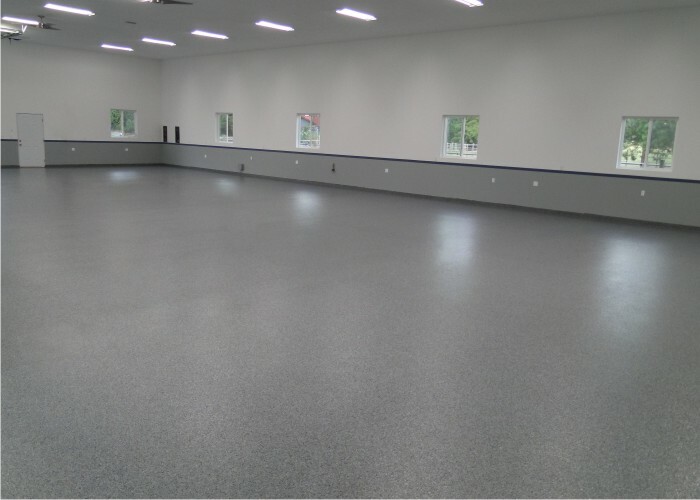 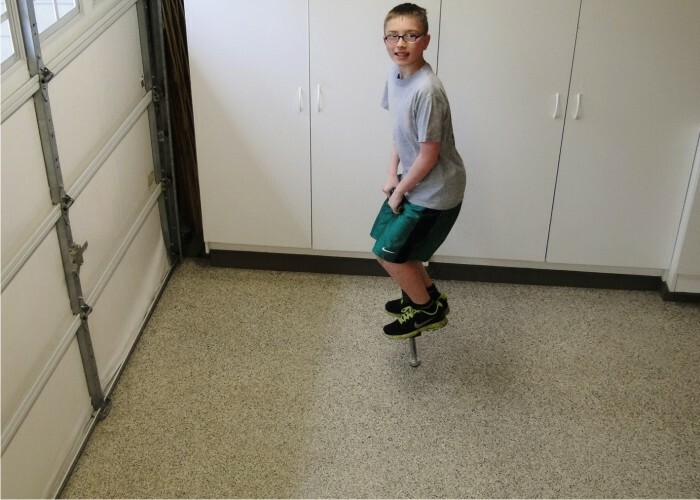 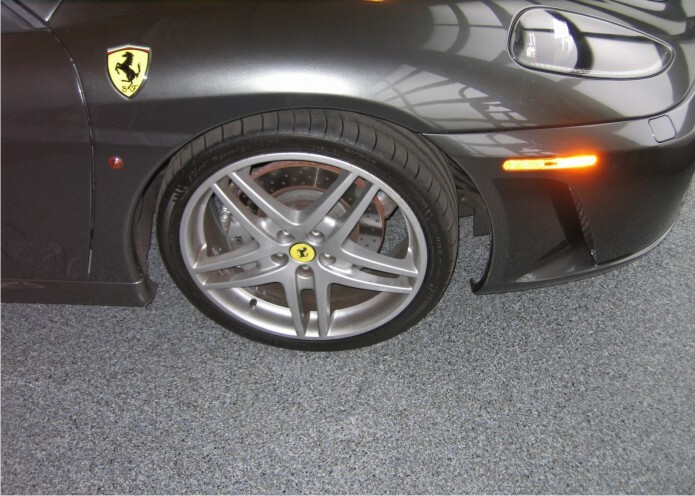 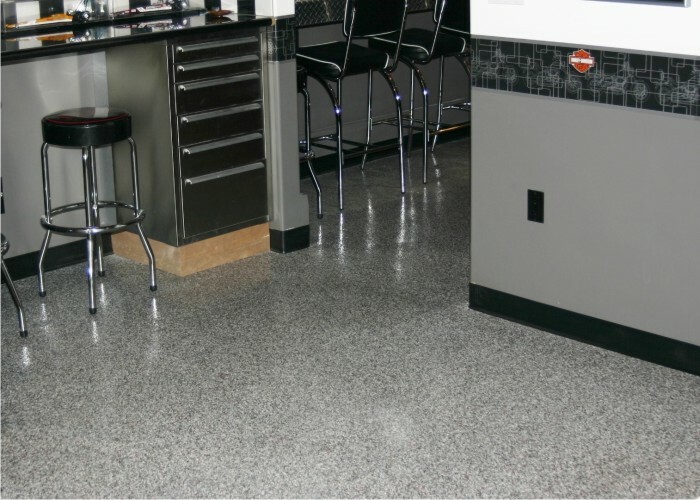 Of all the concrete floors you may have, upgrading your garage floor is probably the one that really stands out the most. 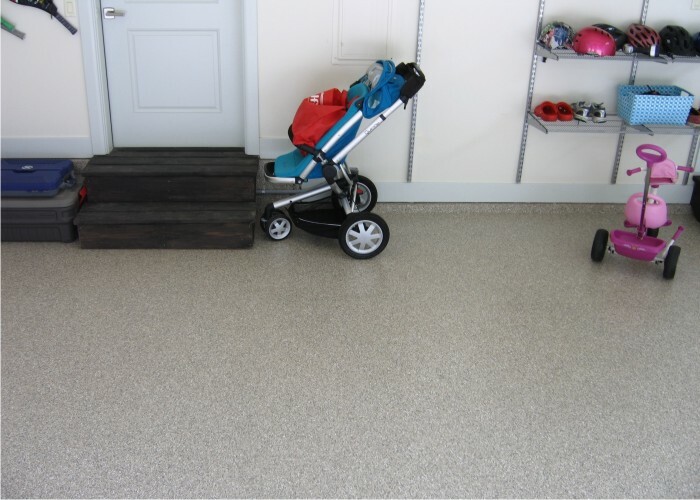 Long gone are the days of simply thinking of your garage as a space to store forgotten about boxes and a mish-mash of lawn equipment. 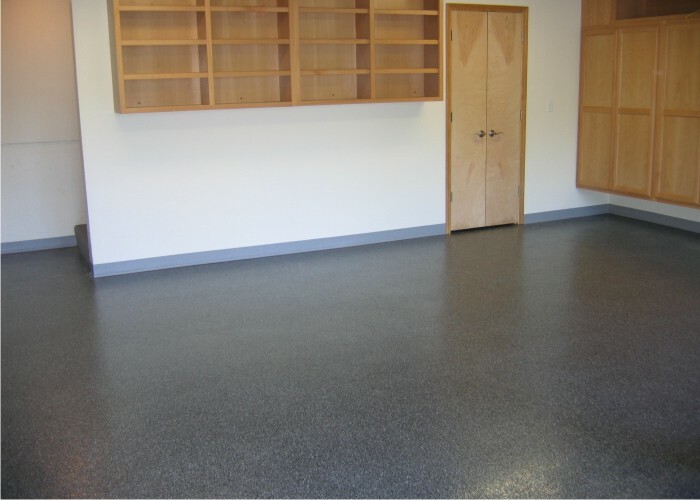 Now days homeowners are reclaiming and transforming these simple storage lockers into usable spaces such as play areas for the kids, man caves, fitness centers or auto rebuilding shops to name a few. 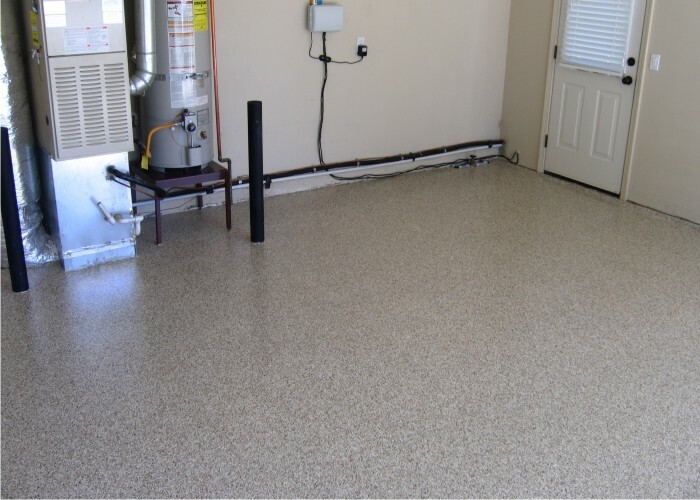 How about your basement? 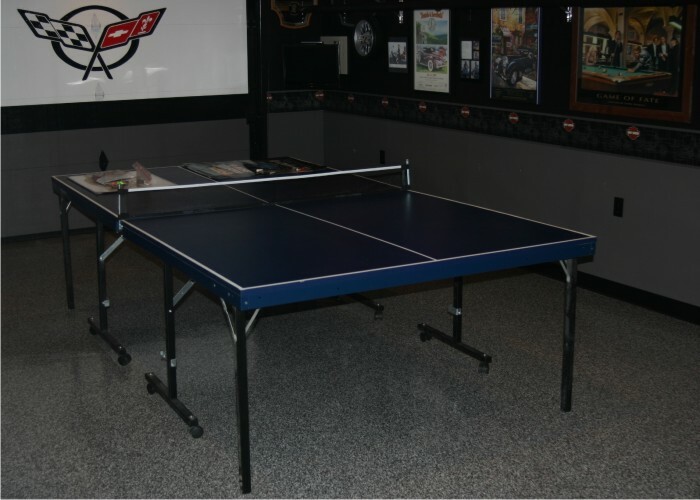 Is it more of an eye sore than a place you’d entertain in? 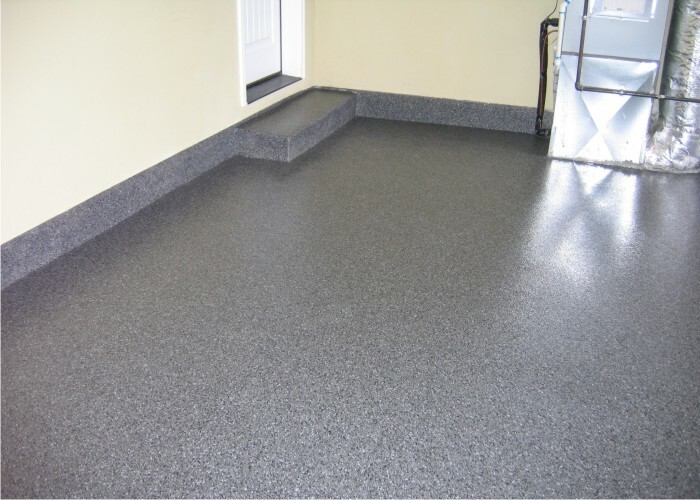 We have ways of combating the most common issues that basements present, such as moisture and mildew. 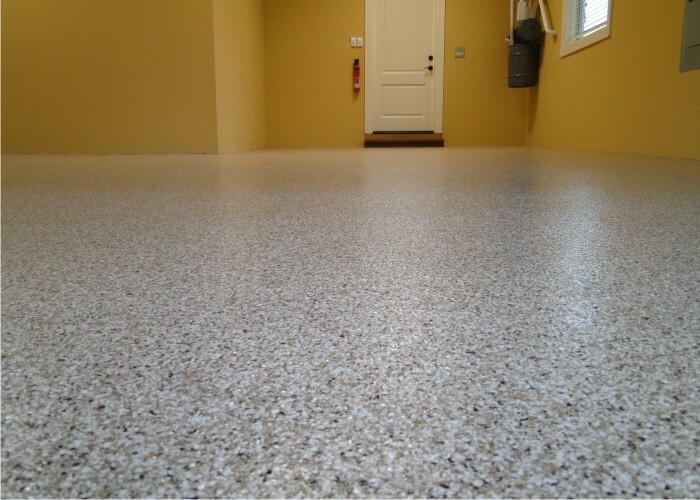 Not only can we eliminate the health issues that arise from these problems, we can provide you with a finished living space that will look and feel fantastic in the process. 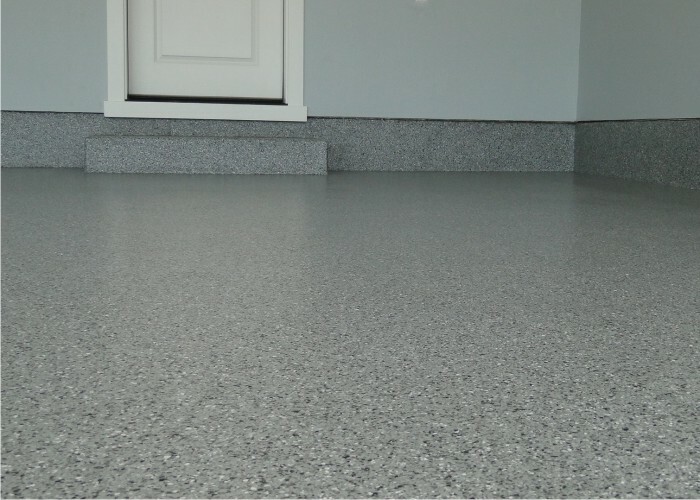 Another area in which we can help is with your exterior concrete, such as patios, walks and driveways. 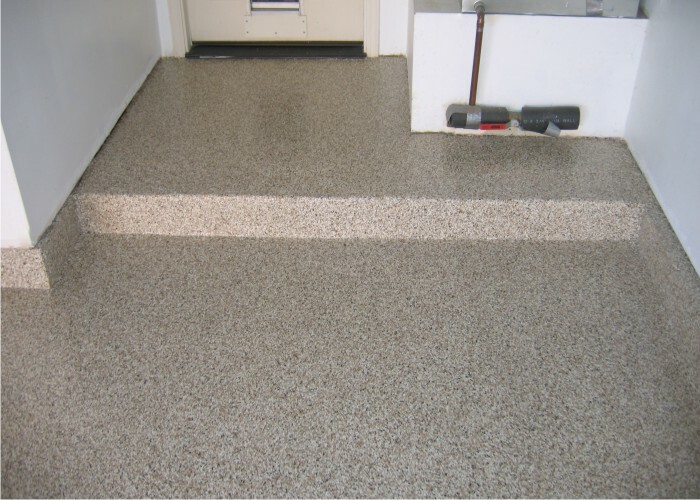 Whether it’s simply sealing your exposed aggregate driveway to give it that glossy “wet” look or applying a full overlay to an unsightly patio, we can make driving up to your home or sitting on the back porch something you’ll want to do rather than have to do. 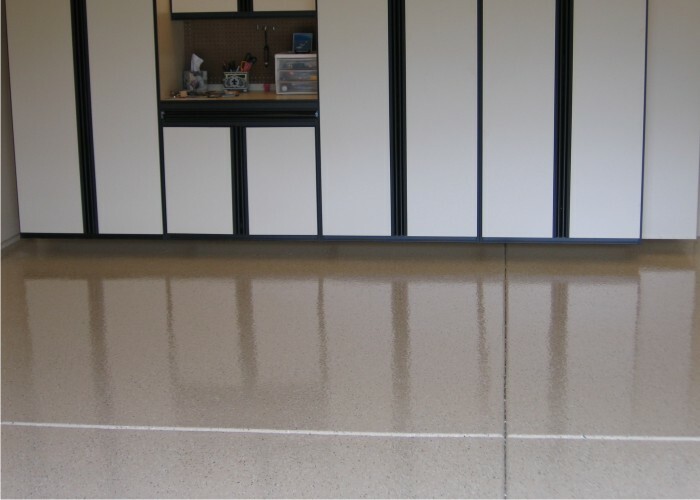 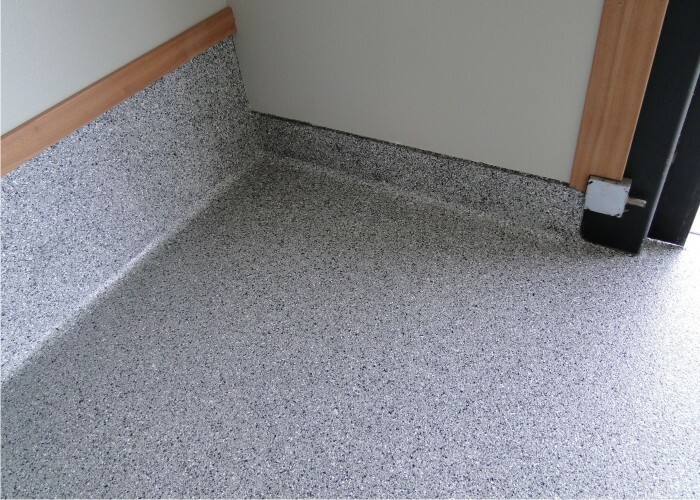 We will be happy to show you a variety of finishes that’ll provide you with a durable, long lasting floor giving you a space you’ll be proud to show off and one that will add value to your property. 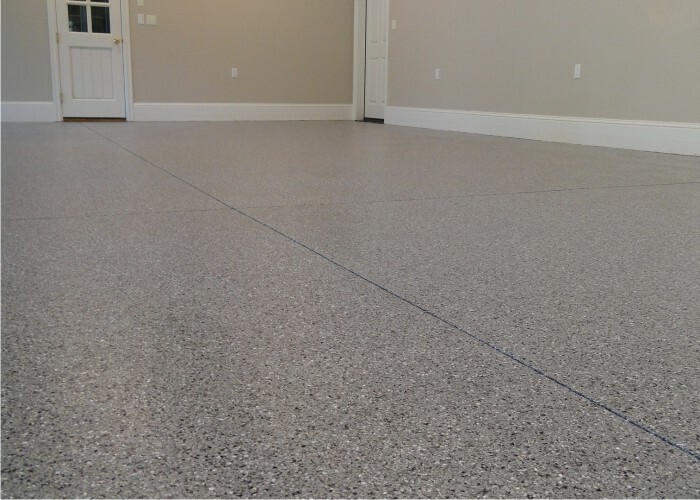 With hundreds of satisfied homeowners we’ve worked for, we know what you’re looking for and will approach your project with the skill and dedication you deserve.